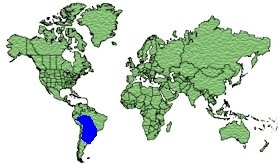 Peru, Bolivia, Paraguay, Uraguay, Brazil and Argentina. 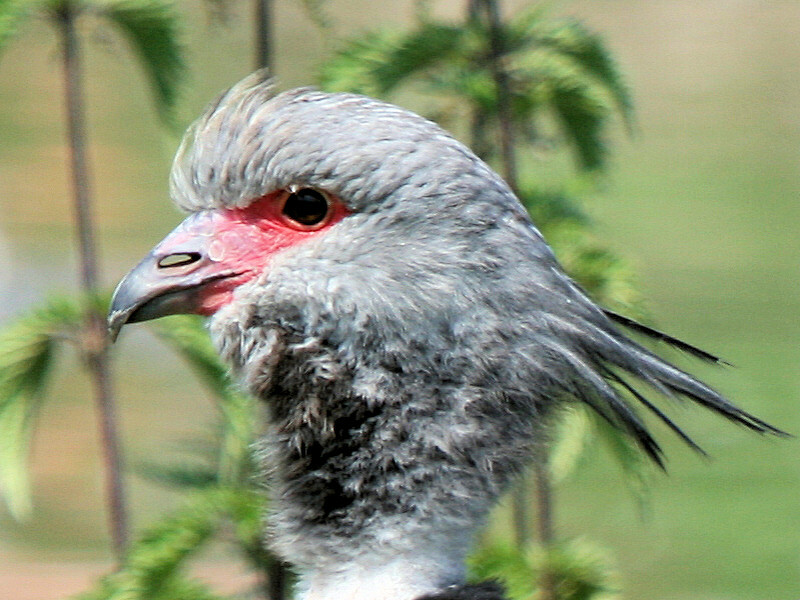 The male has mainly Grey plumage with a Black neck ring, a hooked Grey bill, with a featherless Red patch from the base of the bill to the eye. 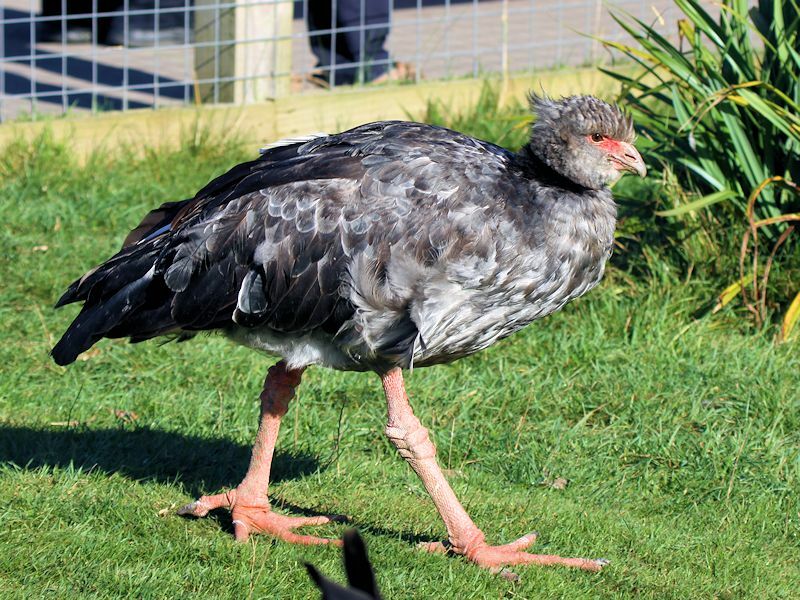 The legs and feet are Pink. 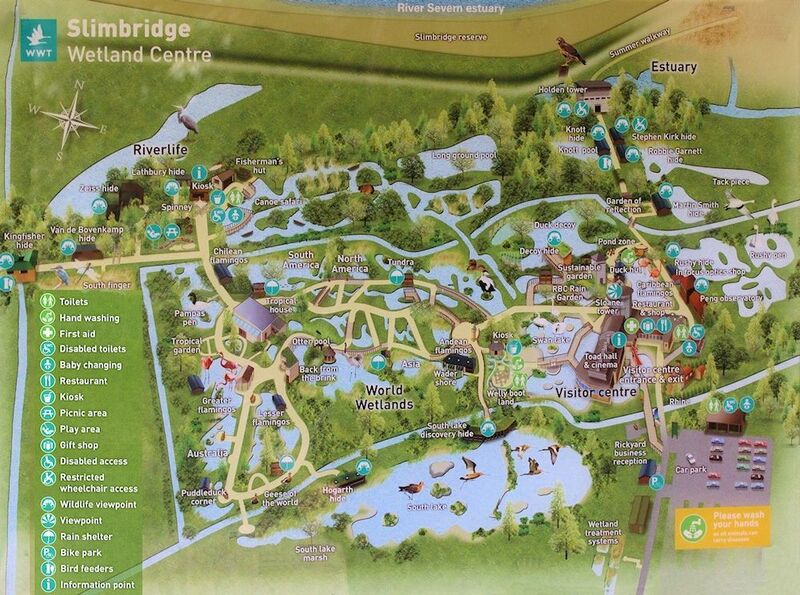 Wetlands, Swamps, Marshes, Grasslands, Lakes and Estuaries. 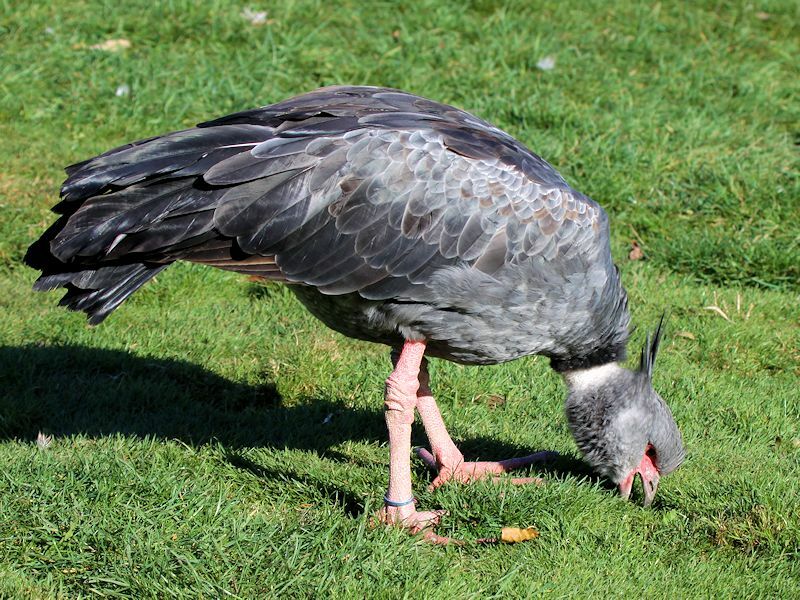 Plant Stems, Seeds, Leaves, and occasional small Animal. 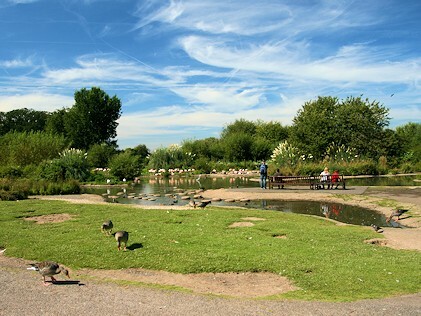 Built as a platform from Reeds, Straw and Vegetation near water. 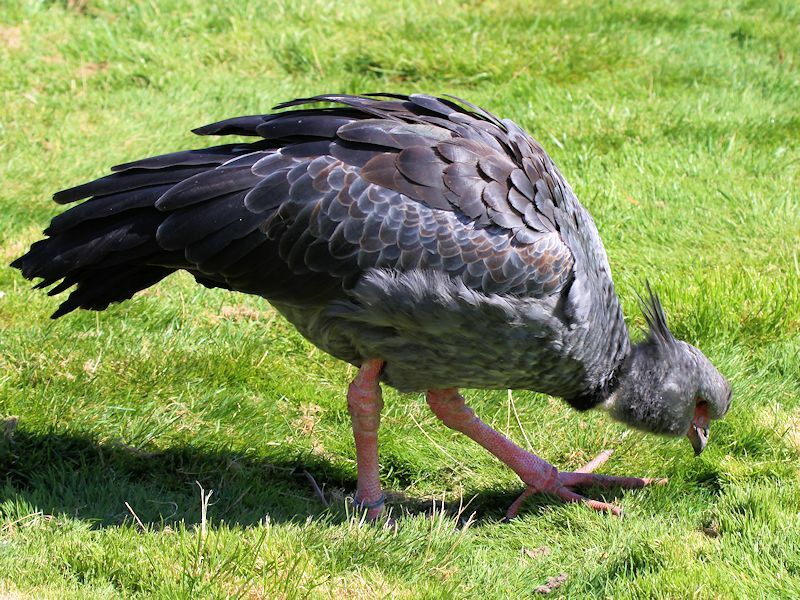 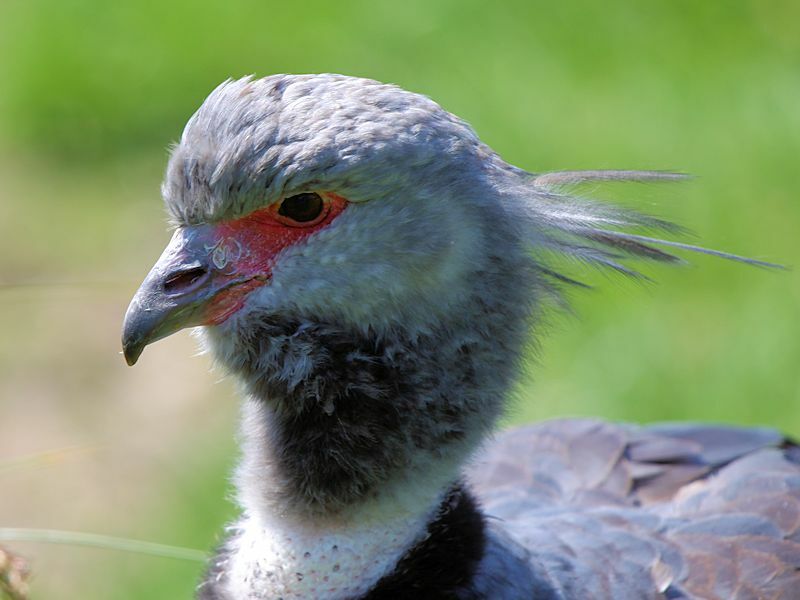 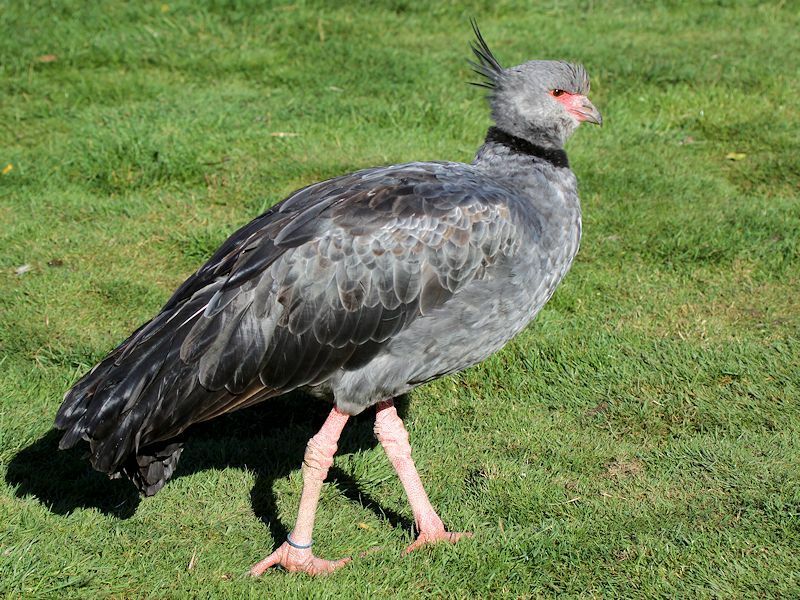 The Crested Screamer, also known as the Southern Screamer, is found in Southeastern Peru, Northern Bolivia, Paraguay, Southern Brazil, Uruguay and North Argentina. 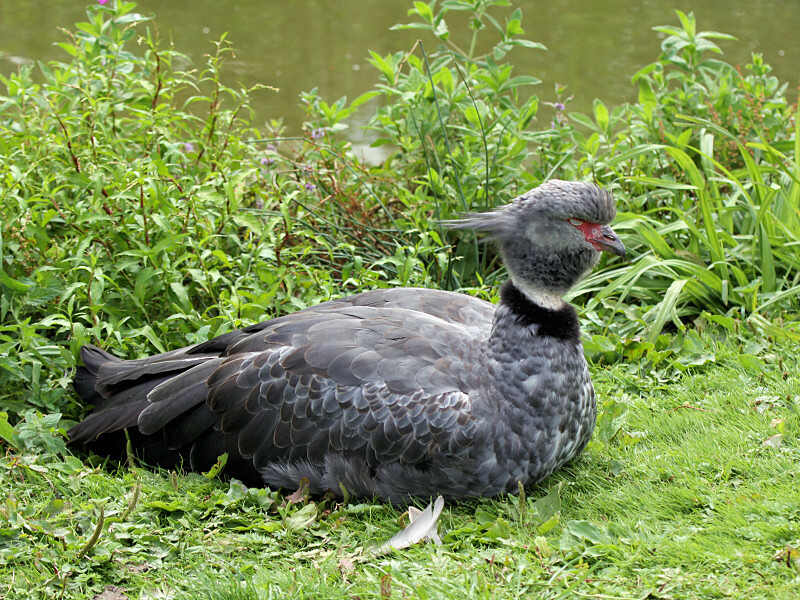 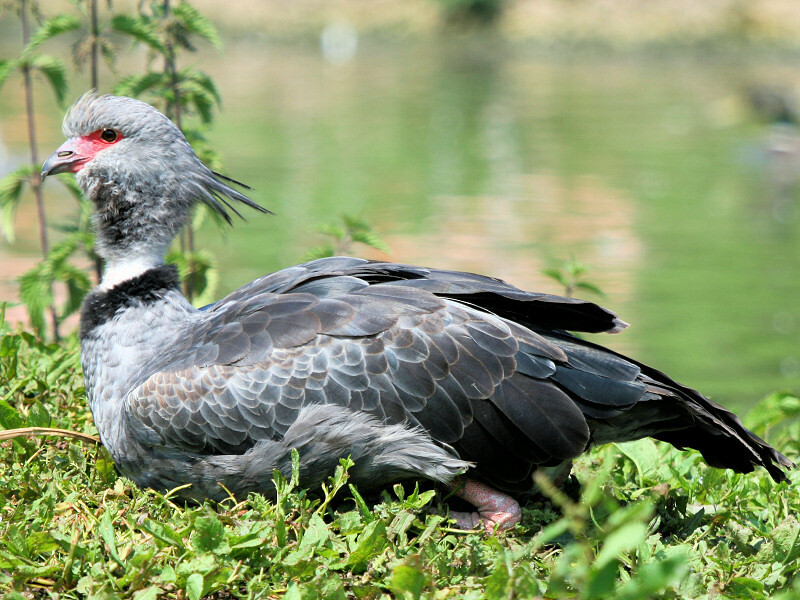 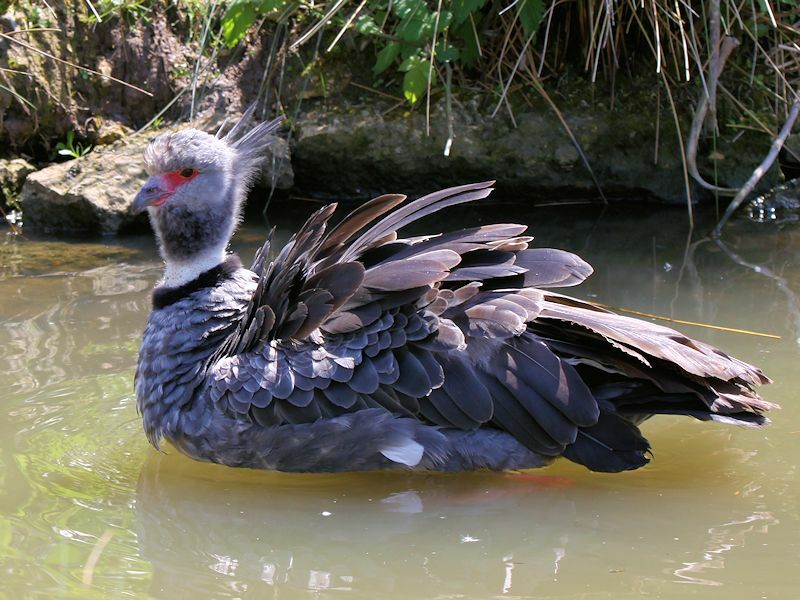 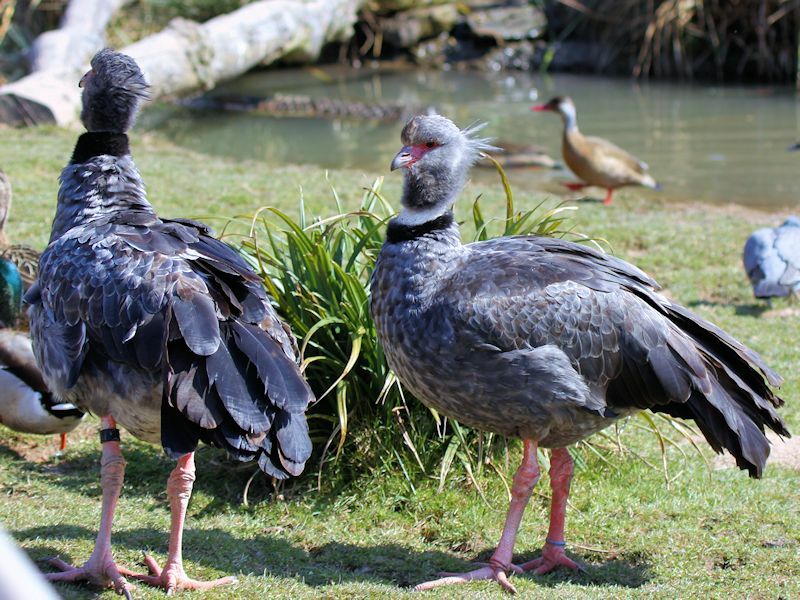 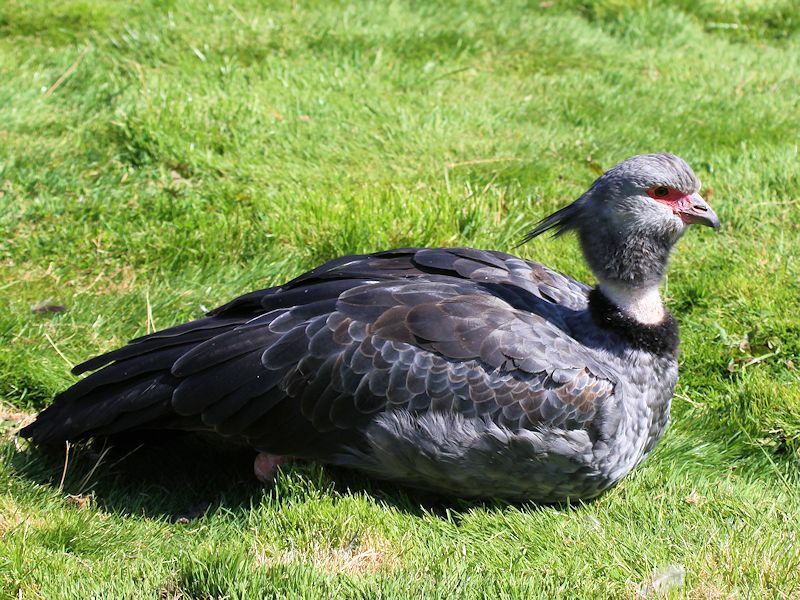 The Crested Screamer prefers to remain on the ground but is actually a good swimmer. 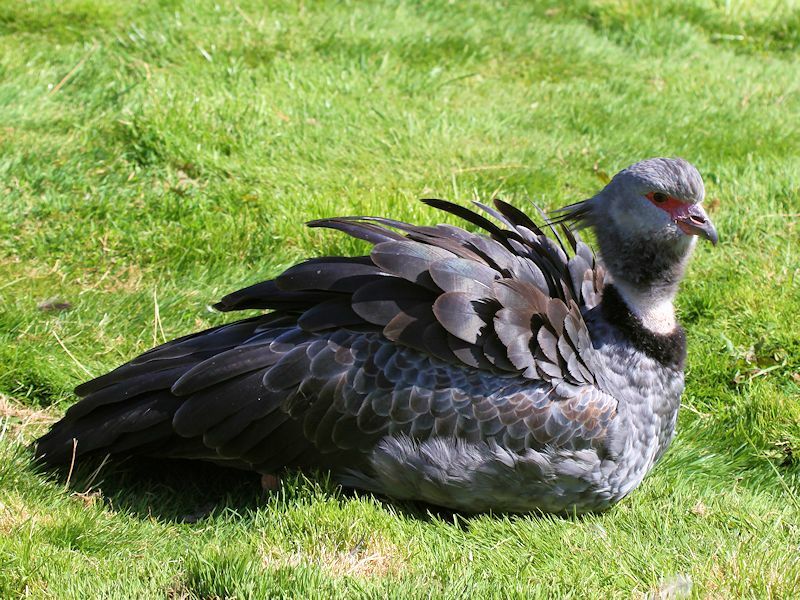 It also has bony spurs on its wings which it uses to fight against rival Screamers and also as a defence against its enemies.